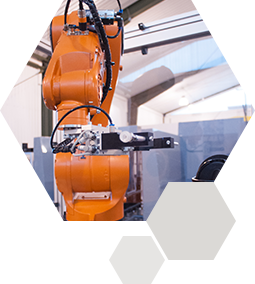 We are engaged in industrial automation as well as the design and construction of robot cells, assembly and production lines, and special-purpose machines. 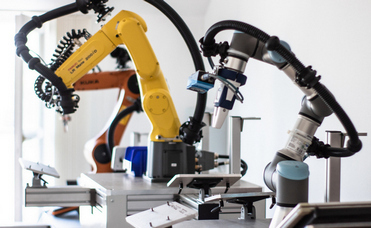 We design and manufacture automated systems based on unique requirements too, and we also have our proprietary product portfolio thanks to our 10+ years of experience in the field of robotics, tested solutions, and research & development activities. Our products can be easily customised to both domestic and foreign client needs, that is why we are able to sell them as serial manufactured products, which proves to be the most efficient solution for our customers too. We offer comprehensive solutions from idea to “turn-key” execution mainly for the following applications: welding, hot press machine automation, machine tending, handling and palletising. Your browser does not support iframe element. 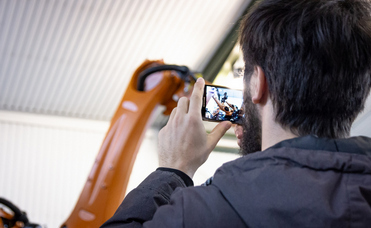 In February 2019 we organized a professional meetup at our central site in Sződ for KUKA developers and Robot-X designers, simulation and programming professionals. Modular training schedule for the most popular robot models from beginner to advanced level in February and March 2019.